Rohit Shetty’s latest blockbuster Golmaal Again entering in its 7th week is still retaining screens at the box office. Numerous new releases are pouring in but Golmaal Again is holding its fort. Trade pundits predicted things for Golmaal Again but no one in their wildest dreams imagined it will cross the 200 crore mark at the box office. The movie is about to cross the 50 days at the box office. The audience has accepted this comic capper with open arms. In its 7th weekend, the movie grossed 24.77 lacs; the numbers are good for the movie which has spent so many days at the box office. 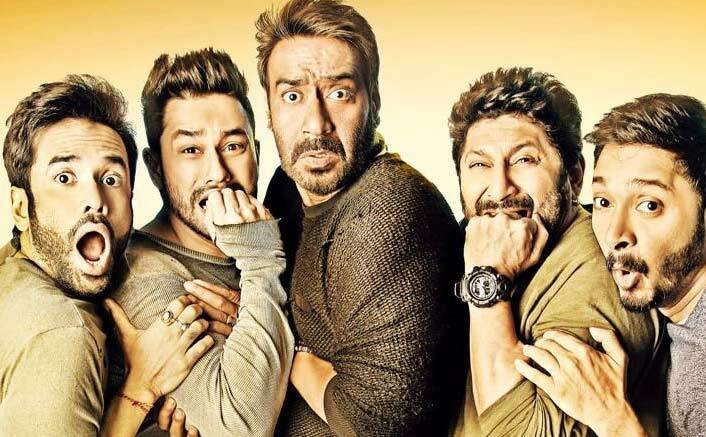 On its 7th Monday, Golmaal Again has collected 4.69 lacs taking the grand total of the film to 205.36 crores. The movie is not only making noise at the Indian box office, it’s making laugh out loud everyone over the world. Rohit Shetty has managed to catapult this franchise to another level. Its box office collections are as explosive as the gags in the film. The audience is feasting upon this delicacy of a film since its release. For a movie made on a high budget as Golmaal Again, it becomes tough to gain that super hit tag. But this Rohit Shetty’s venture has crossed the 200 crore mark at the Indian box office this week. The movie being a family entertainer has attracted its audience, as it has ripened the best of this festive season. The film stars Ajay Devgn, Parineeti Chopra, Tabu, Arshad Warsi, Shreyas Talpade, Kunal Khemu, Prakash Raj and Neil Nitin Mukesh. The film is presented by Reliance Entertainment in association with Mangalmurti Films and Rohit Shetty banner. The movie released on October 20, a day after Diwali. Even amidst the many new releases, Golmaal Again is managing to stand out. The post Golmaal Again Is Still Alive & Kicking At The Box Office; 7th Week Update appeared first on Koimoi.